Robert Rosmis is a Certified International Property Specialist, and oversees the Commercial and Investment division of his firm in Chicago. 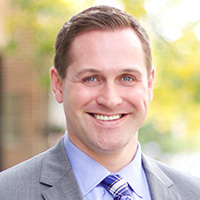 He currently sits as Vice Chairman for the Chicago Association of Realtors Global Council, and serves on the National Association of Realtors C.I.P.S. Advisory Board. Robert has been an agent for 5 years.